Fencing is considered as one of the oldest sports in history. 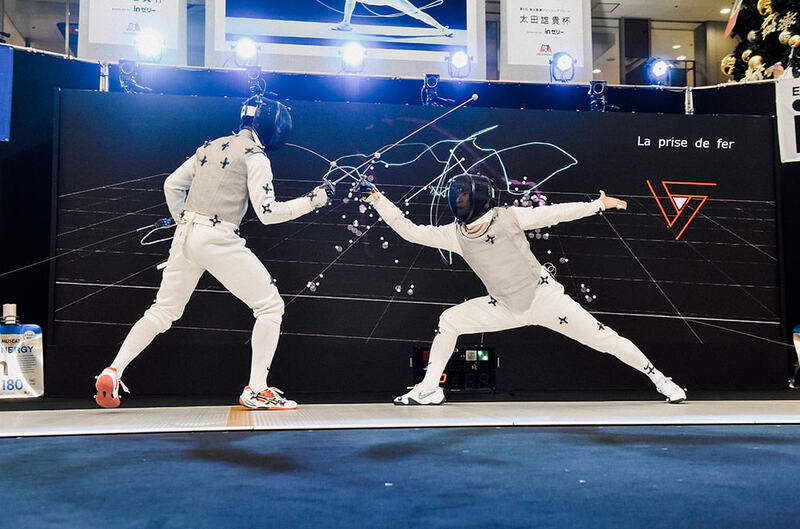 Despite its name recognition, most of the people do not understand its rules, which makes them hard to understand what is going on while watching Fencing. 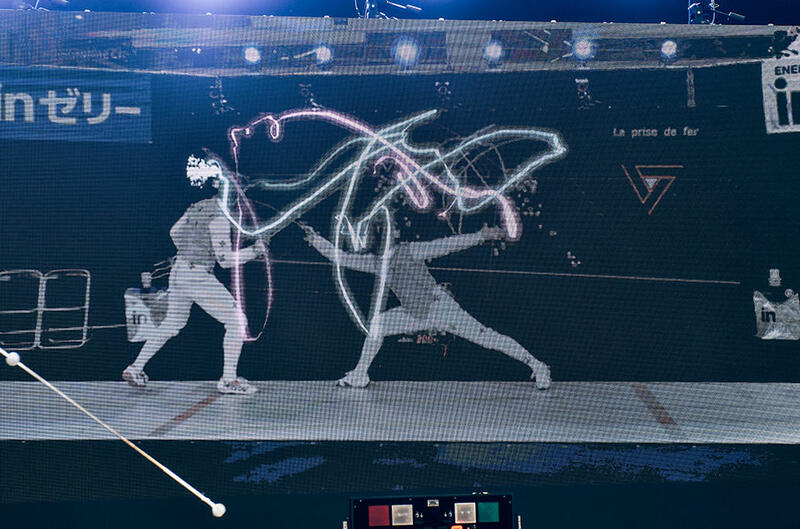 “Fencing Visualized” is a collaborative project initiated together with Japan’s first fencing Olympic medalist, Yuki Ota (Morinaga & Co., Ltd) in order to overcome this challenge. The project involved in developing a design language (icons) to enable viewers to intuitively comprehend the rules and techniques involved during the competition. We utilized motion capture and AR technologies to visualize the movement of the tip of the sword. Techniques that are performed during the match are instantly transformed into icons and presented dynamically. This system has been deployed in public demo competitions, and provided fun exciting experience for many viewers. The same system was used in competition for children’s division and enabled participants to receive their own record of competitions as a scorecard with icons drawn. This project successfully advanced fencing as a sport that can be understood for entertainment.